The Wire Wrapped Fire-Breathing Dragon Dagger takes inspiration from the terrifying medieval beast that only a true knight could defeat. 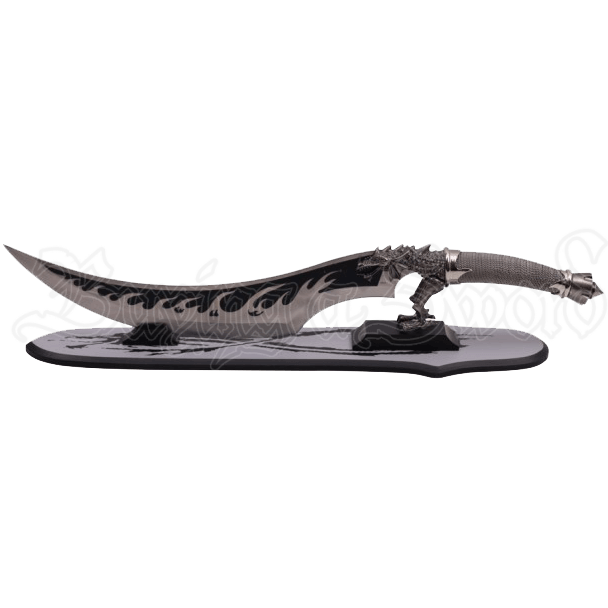 Its heated breath was said to melt away skin and its razor sharp teeth to pierce through flesh. A stream of fire is etched along the blade of this fascinating piece. Crafted from stainless steel, the lightweight blade takes the classic shape of a trailing point. The head and upper limb of a red-eyed dragon form the guard. A wire wrap with metal accents strengthens the grip of the handle. 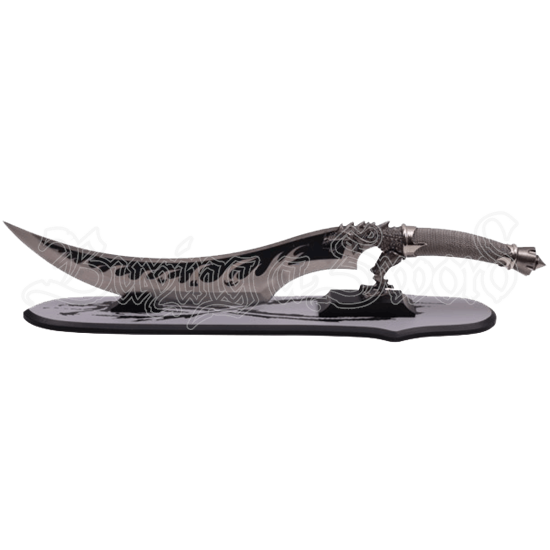 Add a dark touch to your home or office by displaying this dagger with its wooden stand.